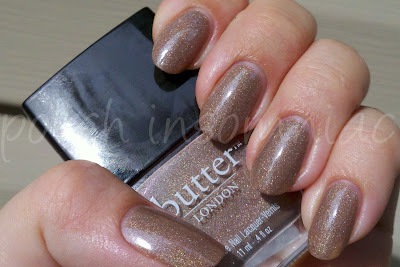 polish insomniac: butter LONDON All Hail McQueen! I LOVE this polish. LOVE! It makes me feel all warm and fuzzy just thinking about it! 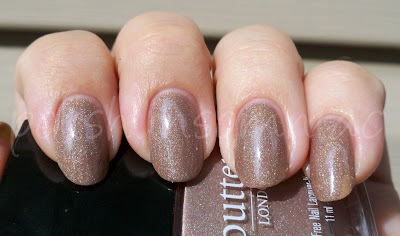 All Hail McQueen (now only available as All Hail the Queen) was released as part of Butter London's fall collection, as a tribute to the late, great Alexander McQueen. It was the first Butter London I ever tried. I had heard bad things about their formula, but I decided to take a chance and try it out. I am so glad I did! Actually, to give credit where credit is due, my lovely mommy purchased it for me, along with another shade, Yummy Mummy. ﻿This is three coats of polish, no base or top coat. And to be honest, it really doesn't need a topcoat. It dried to a hard, shiny, plastic-y finish. Amazing formula, very sheer but buildable. As with most "good" holos, it did need all three coats, but all three were well worth it. 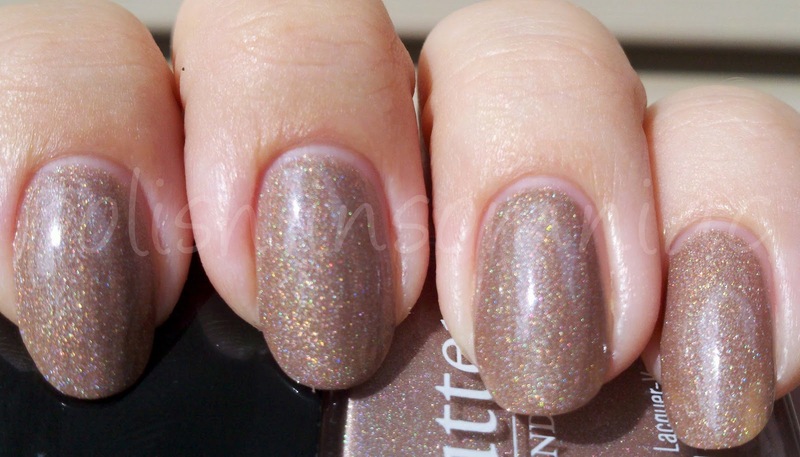 ﻿In the shade, its still as beautiful, but ofcourse the holo is muted. Notice how you can't see a single solitary ridge or imperfection? The formula makes my nails look GOOD! 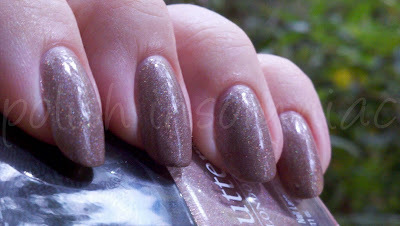 The only problem I had with the mani was the pinky, somehow I missed a whole corner of my tip! User error, to be sure.